Parweez Safi had literally no sign of fear overshadowing his impeccable presentation of news on Afghanistan’s Shamshad TV, hours after this private broadcaster came under brazen militant attack in downtown Kabul earlier this week. As much as his courage, commitment and dedication towards his noble profession and indeed towards his war-ravaged nation is valiant, the blatant attack on the media house is equally condemnable, regardless of whatever pretext the militants – the so-called Islamic State of Iraq and Syria (ISIS) or more commonly known as Daesh in this case – might have to storm Shamshad TV office. The attack on the broadcaster Shamshad began at around 10.45 a.m. local time (6.15 a.m. GMT) on Tuesday. 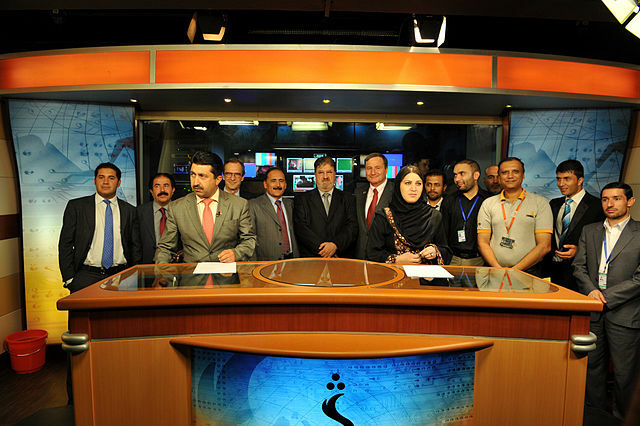 At least three hours after the attack, the widely popular Pashto language TV station resumed its transmission, announcing the attack has ended. Shamshad TV is particularly popular in parts of Afghanistan, with a significant Pashtoon population, including the eastern Nangarhar province where pro-Daesh rebels – who have claimed responsibility for the attack – have strong bastions along the border areas with Pakistan. We have seen the torch bearers of press freedom, provide independent and impartial aid to the most vulnerable communities, and not to mention teachers being intentionally targeted in Afghanistan by the warning sides for years. The aftermath is not always similar to the case of Shamshad TV in Kabul, where the station is bold and powerful enough to face the threats and head-on attacks by resuming its broadcasting for millions of its viewers, inside the country and for the Afghan diaspora abroad. We have a very recent example of the International Committee of the Red Cross (ICRC) winding down its much needed activities in northern Afghanistan following a string of deadly attacks, kidnappings and persecution. Thanks to the relative peace and persistent international support, the Afghan state is slowly and gradually standing on its own feet after decades of war. The vulnerabilities of the civil society, particularly the media in Afghanistan, seriously undermines the rebuilding efforts of the nation. A broad spectrum of the war-weary Afghans have rejected the extremist ideology propagated by the militants, and sympathsers of the extremists shall now have a cleared-eye view of the grim threats the extremists pose to our civilization as we know it.